“These magic moments are quite wonderful, but words cannot describe the beauty and the love of simply being. To be here, in this love, is easy. Ray Brooks, writer, musician and recording artist, is internationally known in the world of shakuhachi or Japanese flute music. He has studied with many great shakuhachi masters and performed throughout Japan and overseas. Born and raised in Newcastle-upon-Tyne, England, Ray and his wife, Dianne, have explored the world together and continue to spend most of their winters in the foothills of the Indian Himalaya, residing the rest of the year on Vancouver Island in Canada. In this week’s guest post for The Culturium, Ray recounts his life-changing conversation with a humble holy man on the ghats of the River Ganges, who helped him to discover the very essence of his inner self. HOW DID A completely undisciplined child—an utter waster in his twenties, who squandered the best part of his early life in pubs, wine bars and the nightclubs of London—find himself playing solo concerts in Japan on a shakuhachi Zen flute. This is the question most asked at my talks and workshops. I wrote my first book, Blowing Zen: Finding an Authentic Life, as an attempt to respond to that question. Writing afforded me the opportunity to look back, in appreciation, at the moments of change in my life. I wrote the book with the hope that at least one person with thoughts of dissatisfaction in his or her life would be inspired into action. I wrote Blowing Zen in 1999 and after sixteen years, three publishers, a German edition and the possibility of a film, the book is still finding readers. From the hundreds of emails I’ve received, I discovered that some, who had never heard of the shakuhachi, took up the instrument and are still playing to this day. Two players that I know of found teachers and became proficient enough to be claimed as masters. The utter waster was now a well known shakuhachi player with students and shakuhachi recordings, who went on book tours and travelled to Japan to hold solo concerts. I had a wonderful relationship and a fantastic life, but still, there was something missing. There was a huge sense of separation; a sense of what Jiddu Krishnamurti called “the observer and the observed”. There was still a sense of “me” and “other”. I still suffered. I was so determined to understand this separation that I boarded a plane in London and went to Ojai, California, to hear Krishnamurti speak. I even managed to have a one-on-one meeting with him. After that meeting with Krishnamurti and for the next twenty years or more, I earnestly tried to solve the problem of the “observer and the observed, knowing and known”. I once told a group of seekers that “I was so very close to solving the problem”. Of course, knowing and known can never be separated. They have never even been apart. Only thought gives the illusion that there is separation between knowing and known. Knowing beyond doubt that there are not “two things” anywhere to be found is what we might call happiness. Thinking they are separate is what we call suffering. It wasn’t just Krishnamurti that I went to for help. I studied traditional Vedanta in India through Swami Dayananda and others. I fell in love with the work of Sri Ramana Maharshi. I sat in front of some of the many excellent teachers on the nonduality circuit, gaining great knowledge about nonduality. The knowledge that there is only oneness, one without a second, Brahman, did not dispel the ignorance. I even had a “spiritual experience”! I believed that the separation was still very much there … so said thought. That was the beginning of our many talks together. 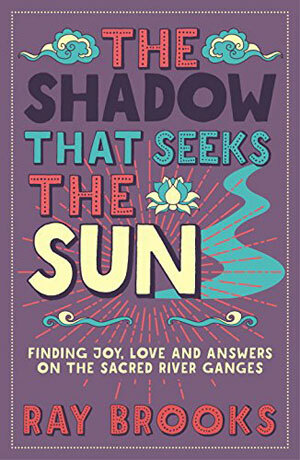 These talks became the catalyst for my second book, The Shadow That Seeks the Sun, a story of yogis, bhogis and an unexpected encounter. 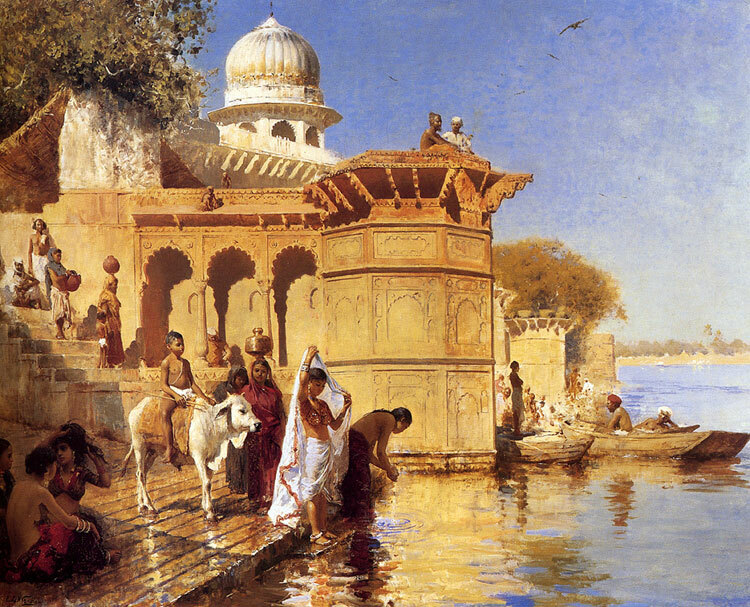 The man’s name was Rudra, an intriguing Anglo-India man met by chance on the ghats, and it was he who questioned every belief that I had. With Rudra’s guidance, these simple, yet profound talks challenged my long-held spiritual beliefs by pointing to that which is ever present but completely overlooked—our true nature. 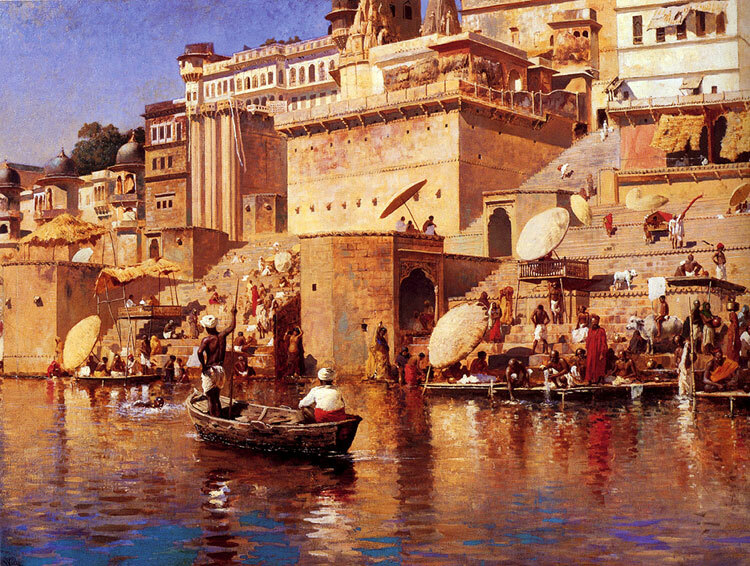 Edwin Lord Weeks, Along the Ghats, Mathura. Rudra nodded unconvincingly and looked out across the river. Undeterred, I carried on. I was startled by the directness of his question. I looked away, unable to stand the scrutiny of his gaze any longer. Without giving a description, I was unsure how to answer. I could hardly believe the direction our conversation was taking. Apart from Krishnamurti, I had never met anyone who spoke with such insight and certainty. He was so open and at ease, and there was not a trace of preaching in his voice. I felt exhilarated in his company and was definitely in no hurry to leave. I’d been sitting for almost an hour and the stone step was beginning to feel uncomfortably hard. I took off my jacket and sat on it. Rudra seemed to realize that I needed time to digest what he was saying and paused for several minutes. 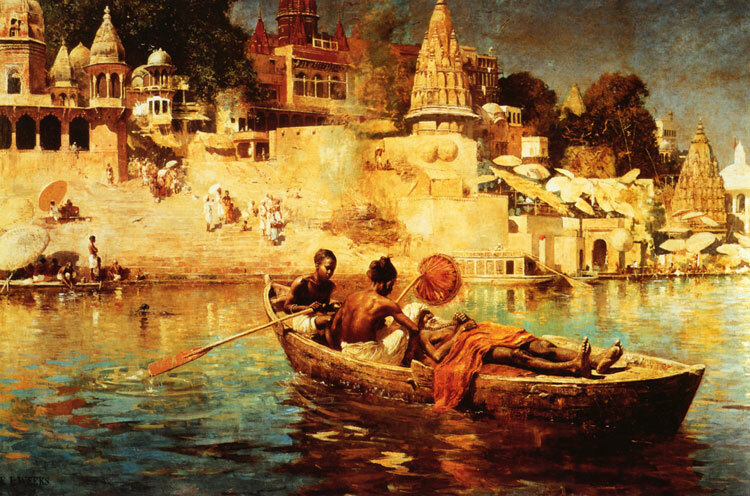 Edwin Lord Weeks, On The River, Benares. Although somewhat mystified, I was fully absorbed by his words. Rudra could see that I was grappling with his statements and kept quiet again for a moment. Rudra paused and stared across the river. I looked at the scene around me. The sun illuminated the pink walls of the ashram across the river. About one hundred yards to my left, a pack of dogs were barking and fighting over something snatched from the remains of a smoldering funeral pyre. A songbird alighted on a nearby rock, shook its feathers, bobbed its tiny body, and began to sing with startling volume and beauty. For a moment, the beauty of the bird’s song overpowered his question. I looked at Rudra and then back at the bird, but it was gone. Rudra’s words were firm but the timbre of his voice never changed and his expression remained calm. The Muni paraded past us again on what must have been his fifth lap. We didn’t speak for a few minutes. We stood up and Rudra placed his palms together.